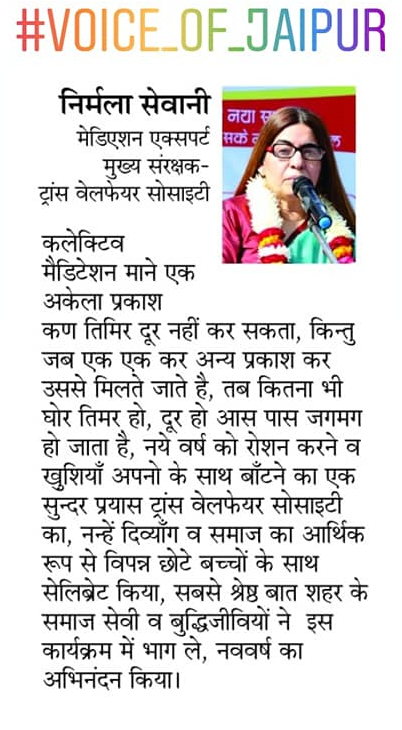 Nirmala Sewani is a gifted yagnacharya. 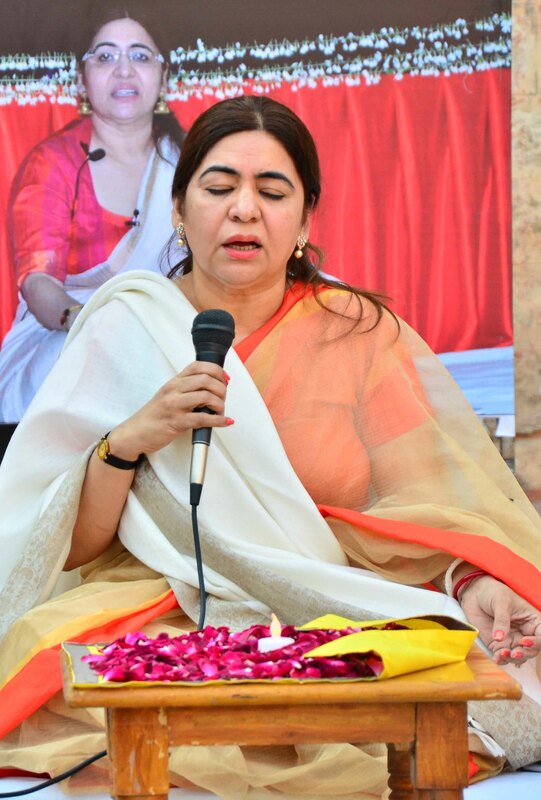 She has dedicated her life to guide and transform others with the help of age-old predictive sciences such as voice analysis, vaastu vigya, aura, face and posture reading, use of stones and astrology. 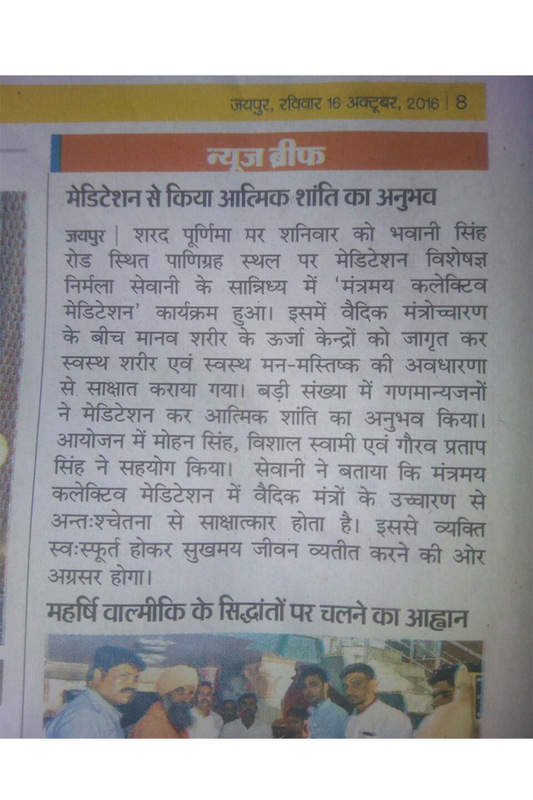 Her most recent event was conducted over the weekend of 15th October 2016 in Jaipur. The night is special as it marks the arrival of “Sharad Purnima,” an auspicious harvest festival marking the end of the Monsoons. It is believed that the radiance of the moon on this night has an especially tranquilising and illuminating effect on the mind. 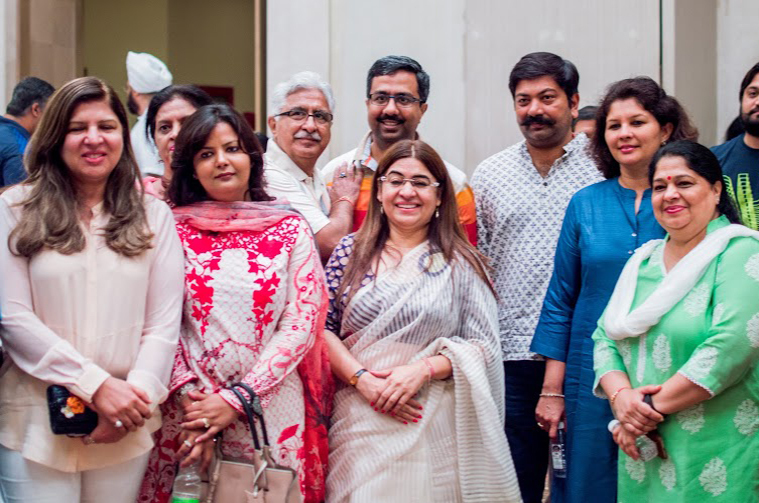 Shri Nirmala hosted a Collective Meditation that celebrated this lunar occasion by bringing together nearly 200 individuals and uniting them with the spirit of mantras that have the power to harmonise the chakras. 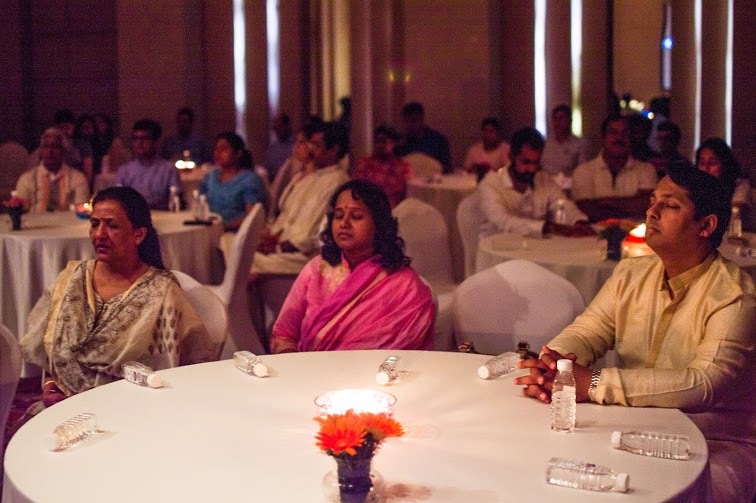 The soothing effects of the mass meditation were unmistakeable as the participating faces glowed with peace and tranquility under the gentle guidance of the spiritual counsellor and the light of the moon. 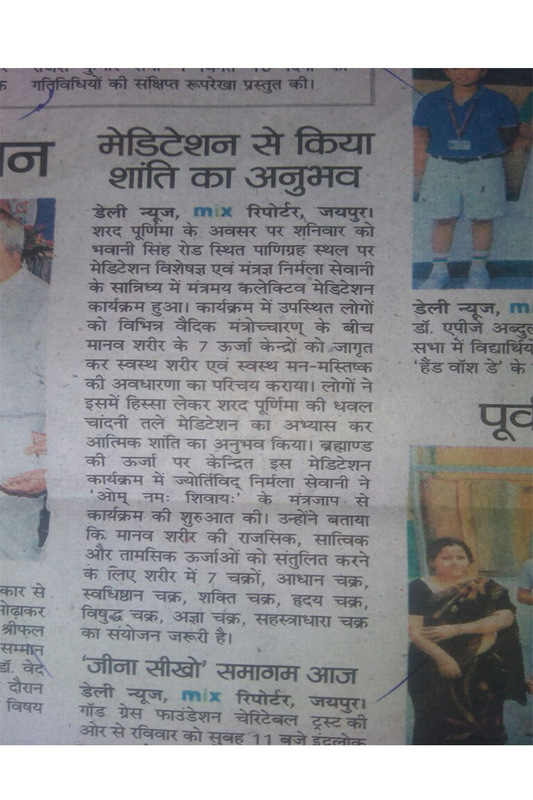 Nirmala Sewani has been inspiring people since she was 13 years old. Just that her way is quite unusual. She is an expert on healing and cleansing one's chakras through meditation. 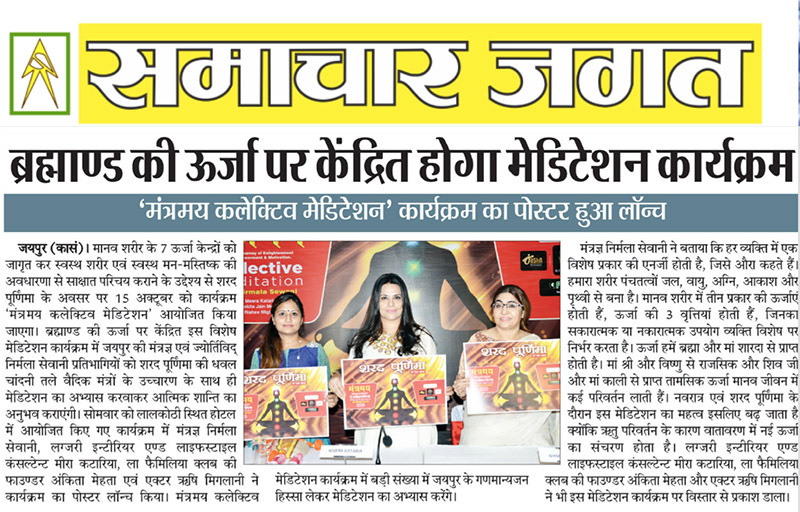 Sewani held one of her sessions at Optus Sarovar Premiere at Sector 29, City Centre, Gurgaon, on Sunday. Sewani believes meditation improves one's ability to concentrate, and that when one harnesses all one's energies into prayer, it paves the way for the healing of anxiety, depression, trauma and ill health. Meditating through the chakras while chanting mantras has made her life better, and she aims to spread its benefits to the masses. 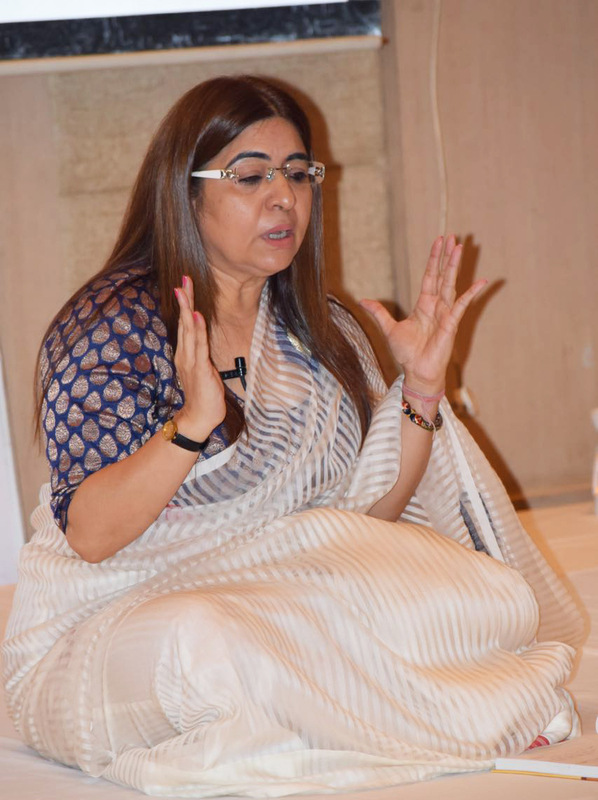 On Sunday, she eloquently explained how each chakra works, as the audience listened to her soothing voice with rapt attention. As her words worked their magic, the flow of energy through the body and the mind was palpable. One could feel the breath and heartbeat rejuvenated. She addressed all the chakras one by one — Mooladhar, Swadhisthan, Shakti, Anahat, Vishudh and Agya. 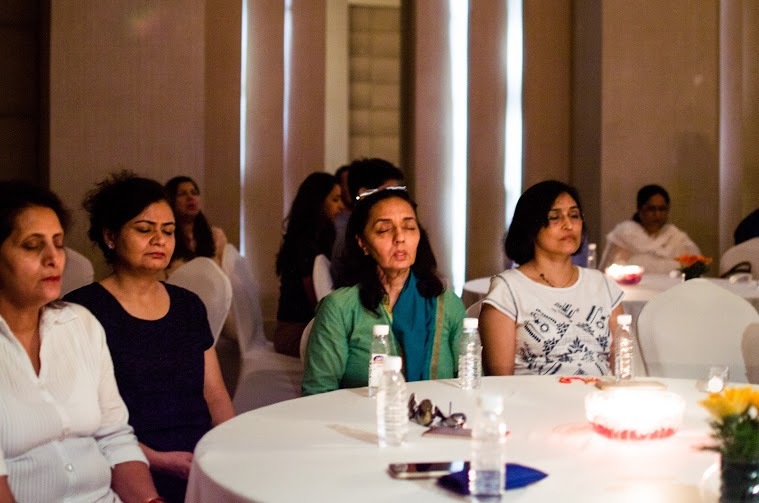 As the chants of Om Namah Shivay reverberated through the hall, one could feel a sense of peace, sitting at the session. 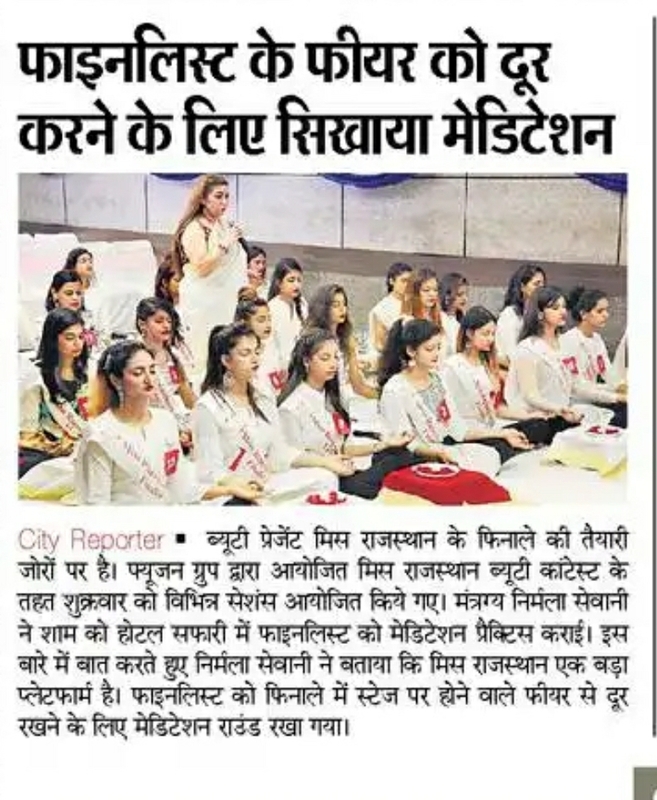 Special Meditation Session for students organized in Annie Besent Hostle of University's Maharani College on the occasion of Basant Panchmi. Jaipur, Feb 12. 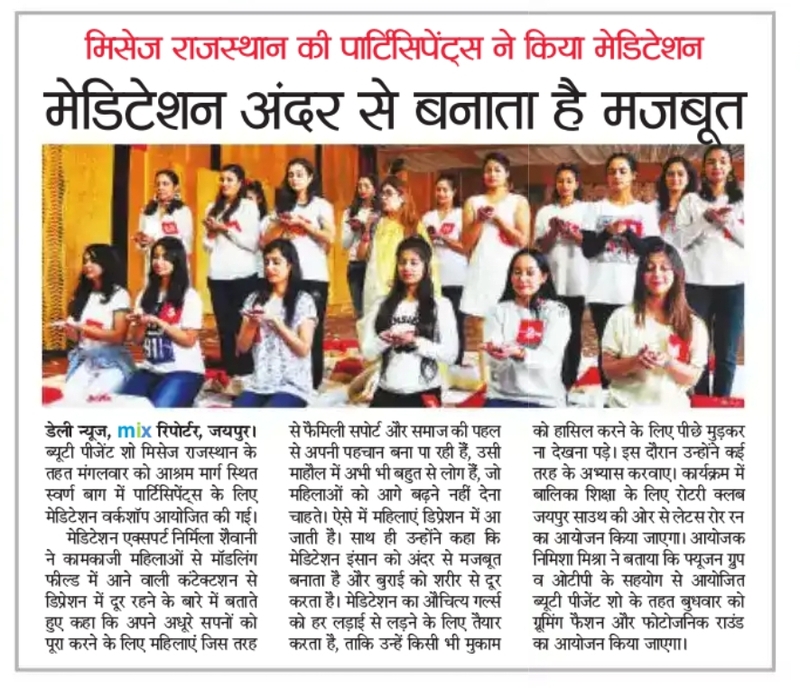 On the occasion of Basant Panchmi, a one day special meditation session was organized on Friday at Annie Besent Hostle of University’s Maharani College, Jaipur. 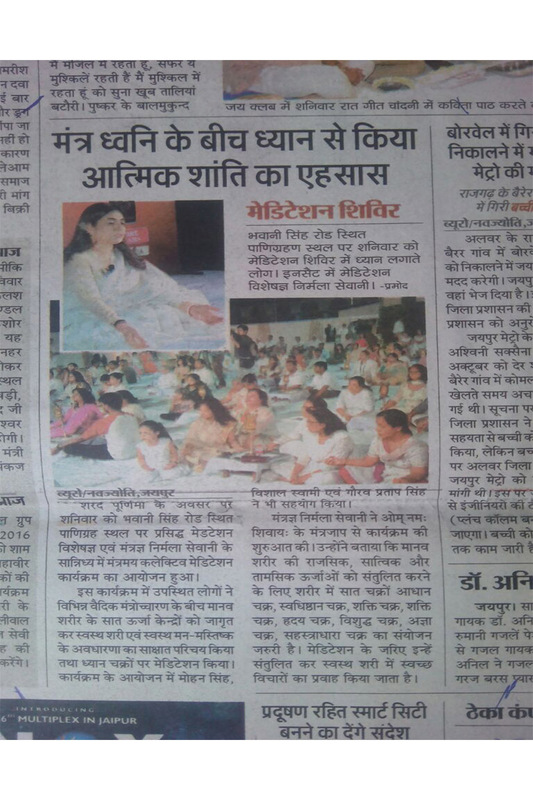 Renouned Meditation expert Nirmala Sewani provided spritual experience of peace thorugh mantras. 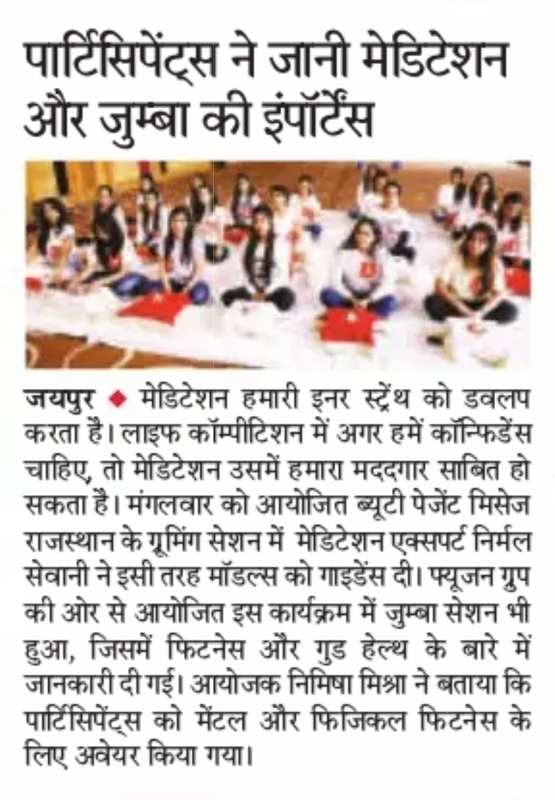 Nirmala Sewani introduced meditation to alert students to the concept of the energy centers in the human body to keep healthy body and healthy mind. 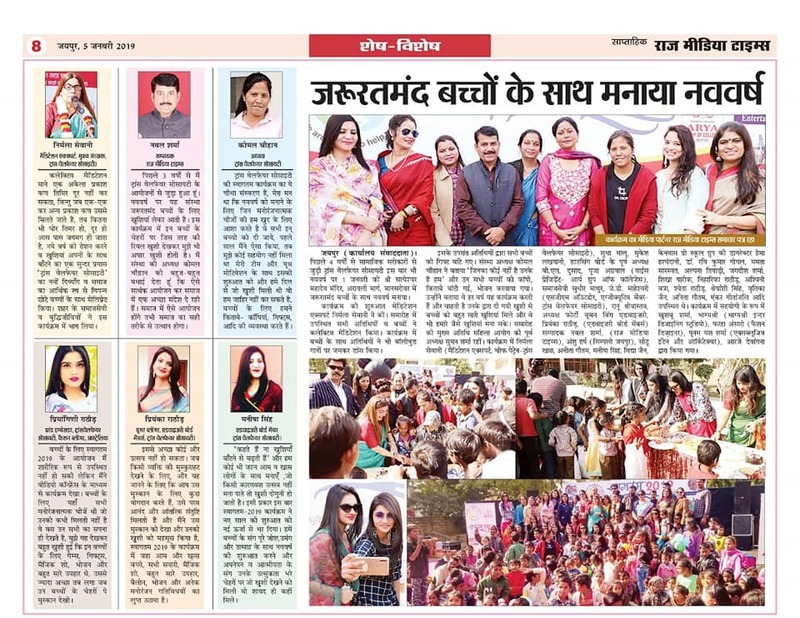 The academic staff and students enjoyed the event in spritual way. Before the event start, warden of Annie Besent Hostel Dr. Neelami Singh welcome Nirmala Ji gifting her a shawl or floral bouquet. 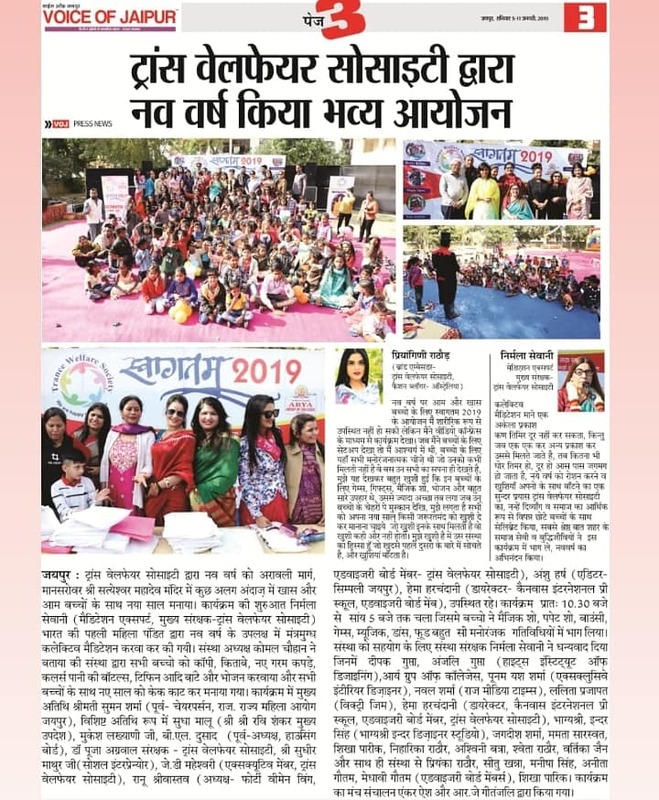 During the session Nirmala Sewami told the girls that spring meditation program has a more positive effect on human life to meditation on Basant Panchami, because the gods walked the earth during this period in the spring to enjoy the concept of creation. 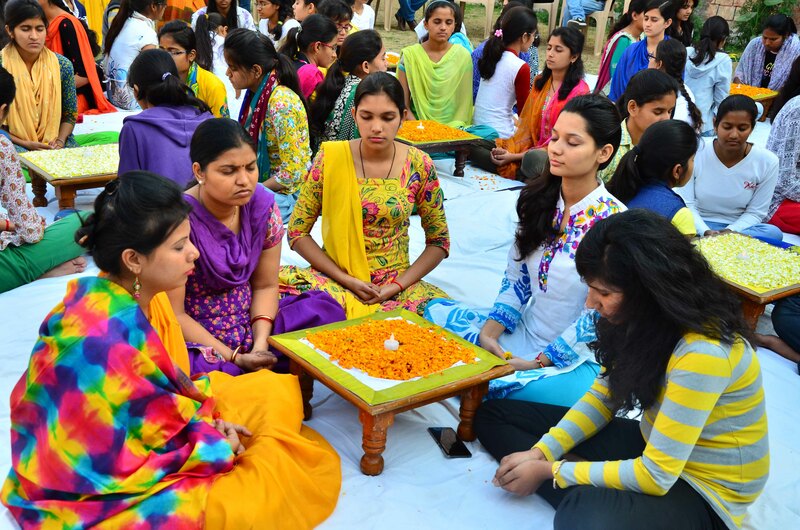 Nirmala service reported that meditation is helpful for students receiving energy from goddess Sharda. It is imperative to focus on the intellectual development cycle, while an increase in visuddha and yadadasta through anahata chakra and the will to take action is the focus rangakara to meet the goals in their career with the family and with society you can create visesa location. He said that the combination and balance of the 7 chakras in the body is necessary. Through meditation they make the flow of ideas in a healthy body and mind.